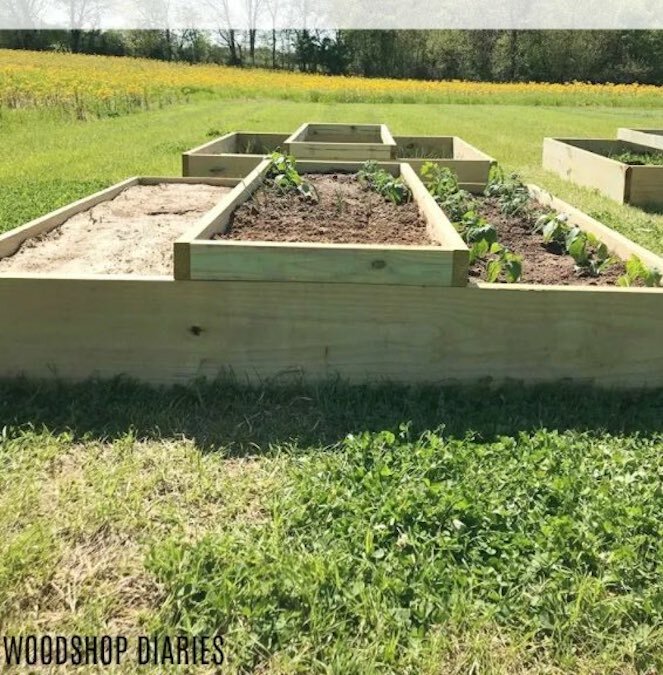 Raised Garden Bed free plan. These raised garden beds measure 6 x 6 feet with a raised portion in the middle which you can leave off if you wish. Also you can build any size you want to suit your needs. Free building instructions at the link.